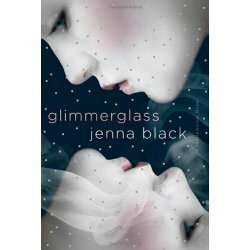 Glimmerglass is the first in the new Young Adult – Fairiewalker series by Jenna Black. What teenage girl wouldn’t want to stumble into the world of the Fae, where every guy is more gorgeous than the next? I truly enjoyed this read. For me it was a quick, page turner, right from the start I didn’t want to put it down. I love how Black set up the lead character, Dana, to be a responsible 16 year old, who is mature yet still naïve. Dana is extremely well done, you love her from the start. Dana Hathaway rushes to leave the problems of her mom beyond, only to discover her world was not nearly as turned around as it could be. Captivity, lies and tricks await her as she arrives in Avalon, as well as Ethan and ….shall we say boy #2…who enjoys throwing her down. Book 2 in this series is due out next year. Just a note – I loved the cover of this book, the matte feel of the paper was unique.